Yes, and so can all the other dog breeds too. 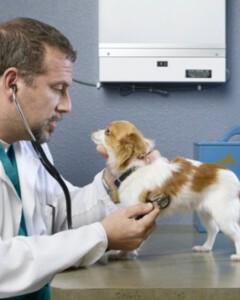 But just like you, your dog can get a flu shot to stave off the stuffy nose, raspy cough and fever. It’s an especially good idea if your dog spends time in a doggie daycare or is booked for an upcoming kennel stay. This entry was posted on Tuesday, December 27th, 2011 at 12:21 PM. It is filed under Blog. You can follow any responses to this entry through the RSS 2.0 feed.